Birighitti impressed in his first season with the club, earning the No.1 keeper position, winning Newcastle's player of the year award and going on to make his debut for the Socceroos at the 2013 East Asian Cup. "Mark has been a fantastic addition to the club, on and off the field, and we were certainly pleased to secure him for the next three seasons," CEO Robbie Middleby said. "With Mark and Ben Kennedy, we have two quality goalkeepers and a healthy competition for that number one spot. 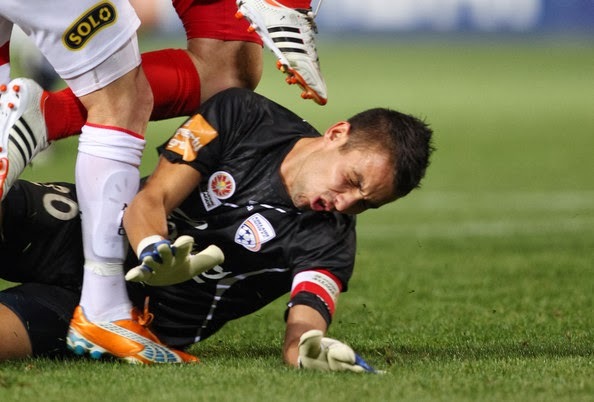 "To secure one of the most promising young goalkeepers in the A-League on a long term contract is a major positive for the Jets on the eve of the 2013/14 season kicking off," Middleby said.